MOSCOW, January 4. /TASS/. 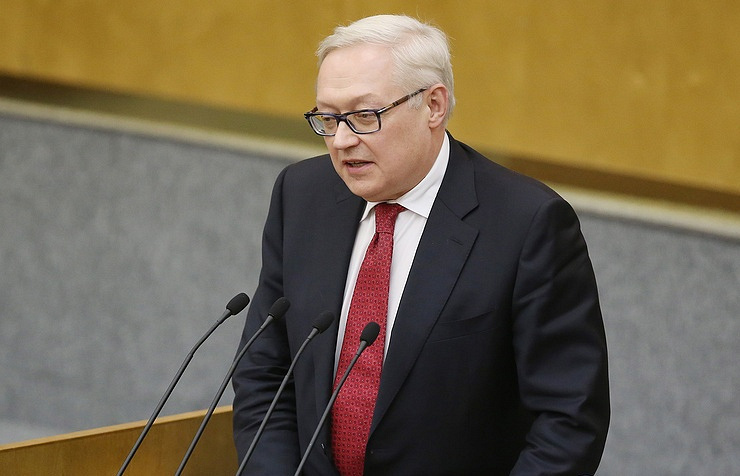 Moscow warns Washington against attempts to interfere in Iran’s internal affairs, Russian Deputy Foreign Minister Sergey Ryabkov told TASS on Thursday. "We warn the US against attempts to interfere in the internal affairs of the Islamic Republic of Iran," he stressed. "What is happening there is an internal affair, which attracts the attention of the international community. However, despite numerous attempts to distort the essence of what is going on, I am certain that our neighbor, the country that is friendly to us, will be able to overcome the current difficulties and emerge from the current period as a stronger nation and a reliable partner in solving various problems, including those related to further implementation of the Joint Comprehensive Plan of Action (JCPOA)". Ryabkov urged the US "not to take steps that hinder further positive and effective cooperation with Iran to implement the JCPOA." "The current situation when Washington yields to temptation to take advantage of the moment to bring up new questions with regard to the JCPOA testifies to a deliberate attempt to undermine the global community’s commitment to the JCPOA," the senior diplomat stressed. "That does no credit to our American counterparts." To that end, he again stressed that Russia is in favor of preserving the nuclear deal and "full and strict compliance with it by all parties, primarily, the US." I say this because there are no complaints regarding the implementation of the deal by the Iranian side and there cannot be. This has been repeatedly confirmed in reports by the IAEA director general," he said, adding that the agreements that have been reached are an important factor of strengthening regional and global stability. Protests in Iran began on December 28, with participants in demonstrations in different cities expressing dissatisfaction with the growing prices. At least 20 people, including law enforcement officers, have been killed in clashes with the police. According to the Iranian authorities, over 450 people have been arrested for taking part in public unrest. On January 3, General Mohammad Ali Jafari, the Commander of the Iranian Revolutionary Guard Corps (IRGC), said the rebels had been defeated.